"Your plumbing, Done Right!". Plumbing and more in Lincoln, Ne. 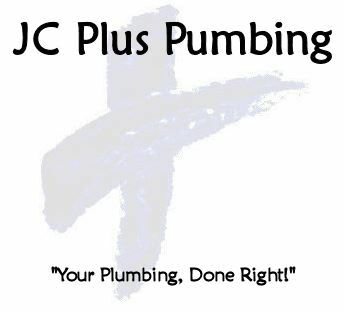 Founded in 2004, JC Plus Plumbing was created to provide the Lincoln, Lancaster, Nebraska area with quality service in all areas of plumbing at competitive prices. Since then, JC Plus Plumbing has developed into a full service commercial and residential remodeling company with a focus on bathroom remodeling. With over 30 years of experience between the owner, Joel, and his team, we can guarantee that you will receive work of the utmost quality. JC Plus also makes sure to create relationships with each and every client so that the job goes smoothly and easily. We want the client to feel comfortable the entire time! If you are looking for someone to take care of your plumbing and remodeling needs, give JC Plus Plumbing of Lincoln, NE, a call today! Your plumbing". -Is respect for your family, time, and budget. If we work in your home, we will respect everything a home owner deserves. Respectful to, children, pets, carpets, furniture, as well as your time and budget. We never up-sell or pressure you into high profit products. We give you the options, so we can make things work, within your budget. "Done right"- Is value, and communication. We do permanent fixes and follow all codes. We use our knowledge of all trades to ensure the structures, electrical, HVAC, and other components are not harmed or altered in any way. We will communicate to you all obstacles and options to complete a project. And we do this efficiently, passing the lower cost and better value to the customer.